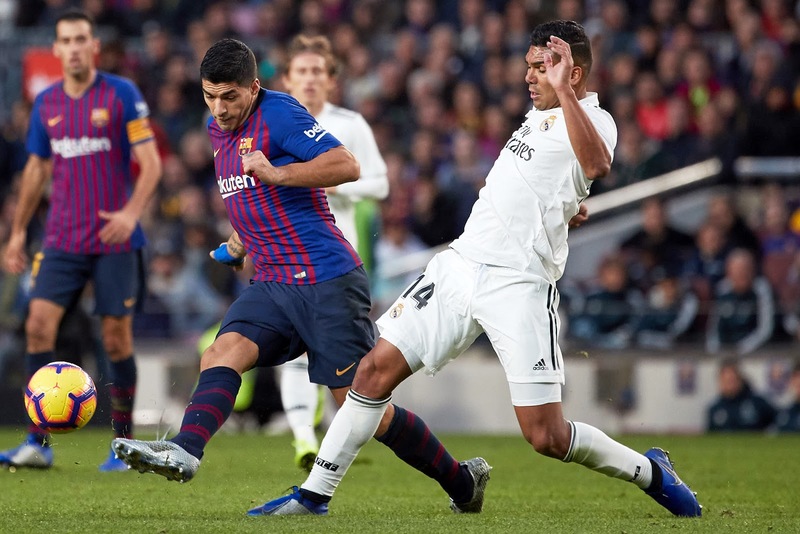 The first LaLiga Santander El Clasico of 2018/19 was a hugely significant moment for both clubs involved, but a lot has changed since Barcelona’s 5-1 victory over Real Madrid last October. The Catalans were bang on form that day at the Camp Nou even without Lionel Messi, with Luis Suarez hitting an impressive hat-trick and Philippe Coutinho and Arturo Vidal also scoring their first El Clasico goals. Real Madrid did not enjoy the experience at all. Coach Julen Lopetegui was dismissed just a few days later, and replacement Santi Solari has since instigated a general shake-up of the team which means at least four of the XI from the season's first El Clasico are unlikely to start the return. Solari’s biggest decision has been to promote Brazilian teenager Vinícius Junior, with the 18-year-old settling quickly into the Los Blancos first team and becoming one of their most important forward attacking players. A former Real Madrid player and coach of the club’s Castilla youth side, Solari has also introduced home-grown Sergio Reguilon, 22, into the team at left-back. Reguilon’s strong form has meant a reduced role for club vice-captain and icon Marcelo, who scored his team’s goal at the Camp Nou in October and, if past selections are anything to go by, Marcelo might not make the XI on Saturday. Others to have made an excellent contribution as Madrid’s results and performances have improved over recent months have been tactically intelligent winger Lucas Vazquez and fit again right-back Dani Carvajal, neither of whom started at the Camp Nou earlier in the season. Senior Los Blancos stars including Karim Benzema, Sergio Ramos and Luka Modric have also returned to better form as the campaign has progressed. The last four months have also brought plenty of changes at the Camp Nou. Barça moved in the January transfer window to sign Ghanaian international Kevin-Prince Boateng and Colombian defender Jeison Murillo, who could both potentially make their El Clasico debuts on Saturday. Other younger players have also established themselves as really important members of Ernesto Valverde’s team as the season has progressed. Ousmane Dembele and Nelson Semedo were substitutes in October but will be hopeful that their good recent form will merit and starting spot at the Santiago Bernabeu this weekend. Less happily for Barça, emerging midfield star Arthur, so impressive in his first El Clasico, will be missing this weekend due to a hamstring injury. But fellow Brazilian Malcom showed in February’s Copa del Rey semi-final first leg Clasico that he can make a big impression against Madrid. One significant feature of October’s match was that blaugrana talisman Lionel Messi missed a El Clasico for the first time in 11 years. The Argentine has long since recovered from that unfortunately-timed arm injury, with his goals and performances having fired Barça into a lead at the top of the LaLiga Santander table. The current standings mean Real Madrid go into Saturday's game really needing to reverse October's result and take the three points. A lot has changed over the intervening months, but more drama is all but guaranteed at the Santiago Bernabeu this weekend. With El Clasico it couldn’t be any other way!